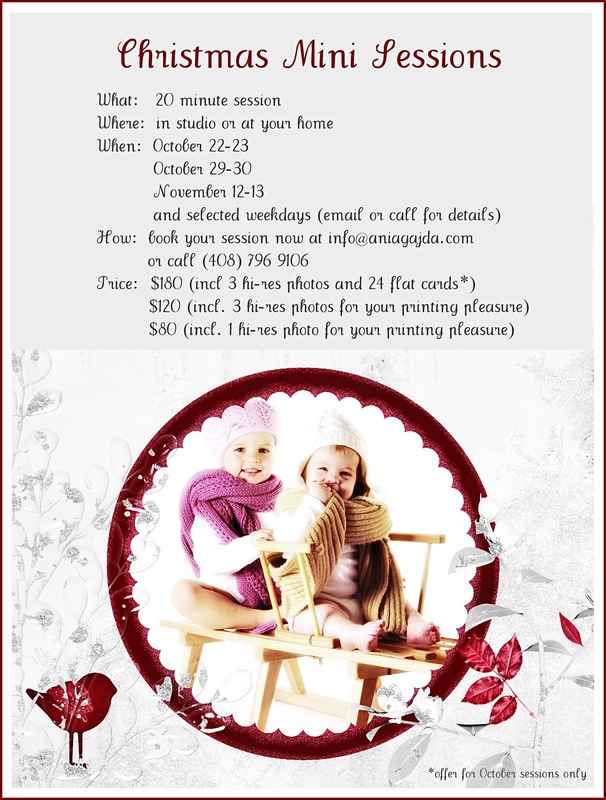 Come, have fun and get great photos to share with your family and friends this Holiday season! I am offering also 1 maxi session this year to produce a calendar for 2012. Session includes pre-consultation and planning, preparation, up to 4h shooting, 13 hi-res files, 3 calendars to give to your family and friends this Christmas. Price: $700. Please email me for details.